The ex-wife of a man who allegedly went on a killing spree last week in Arizona said he was her “personal terrorist” and that she and her son spent the last nine years living in fear for their lives. Dr. Connie Jones said her ex-husband, Dwight Lamon Jones, 56, told her that she was “his property” and threatened that he was either going to kill her if she left him or commit suicide after slaying her and their son. 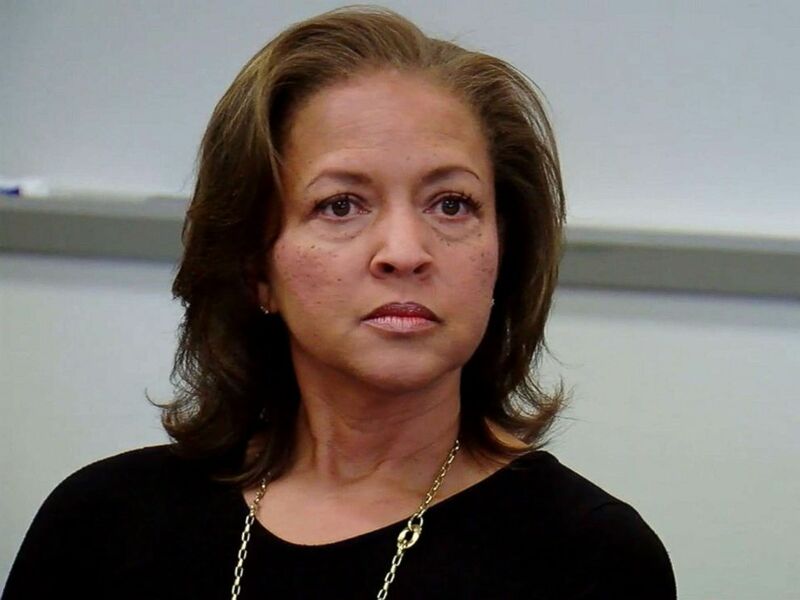 Dr. Connie Jones attends an interview in this image made from video. Dwight Jones died June 4 at an Extended Stay America hotel in Scottsdale after a police standoff, officials said. Jones, who allegedly fired at officers, was gassed, and a robot was sent inside, where he later was found dead from a self-inflicted gunshot. “His death, I think, is the best thing that’s come out of this whole ordeal, and I hope that where he’s going he will finally get what he deserves,” his ex-wife said. 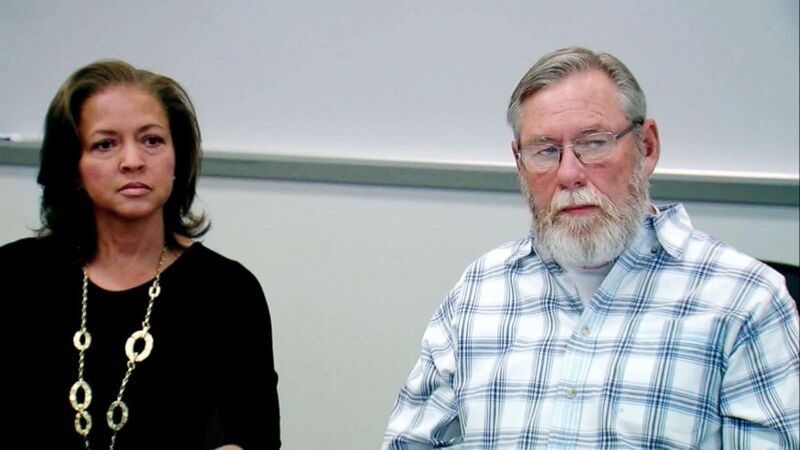 Dr. Connie Jones appears at an interview with her husband, Rick Anglin, in this still made from video. The Maricopa County Sheriff’s Office said most of the victims who were ambushed and shot dead by Dwight Jones had been involved in his divorce proceedings — including renowned forensic psychiatrist Dr. Steven Pitt, who had diagnosed his mental illness. Pitt, who consulted with law enforcement on a handful of prominent cases, including the JonBenet Ramsey murder and the Jodi Arias trial, was gunned down outside his office in Phoenix May 31. Jones’ next two victims were paralegals at the law firm Burt Feldman Grenier. A partner at that law office, Elizabeth Feldman, who attended the news conference Tuesday, represented Connie Jones in her divorce. Two paralegals who worked at the office, Veleria Sharp, 48, and Laura Anderson, 49, were shot at the office on June 1. 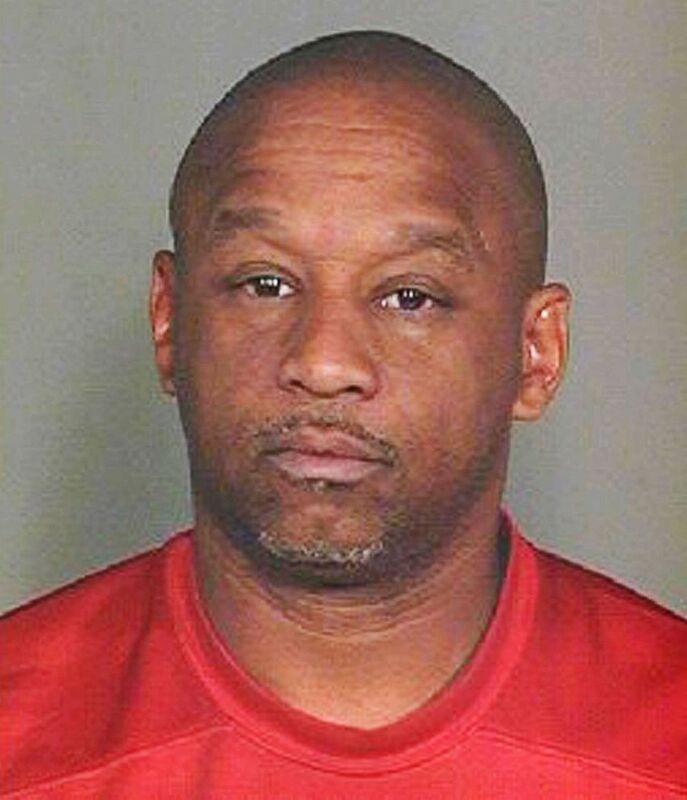 This undated photo release by the Scottsdale Police Department shows Dwight Lamon Jones. The fourth victim, life coach Marshall Levine, was killed just after midnight on June 2 at his Scottsdale office, police said. Dwight Jones’ son, as part of the divorce, was ordered to see a psychiatrist who works in the same office space as Levine, who did not appear to be an intended target and was in the wrong place at the wrong time, police said. Mary Simmons, 70, and Byron Thomas, 72, friends of Dwight Jones who played tennis with him, were found shot to death on June 4, just hours before the alleged killer took his own life in the police confrontation. 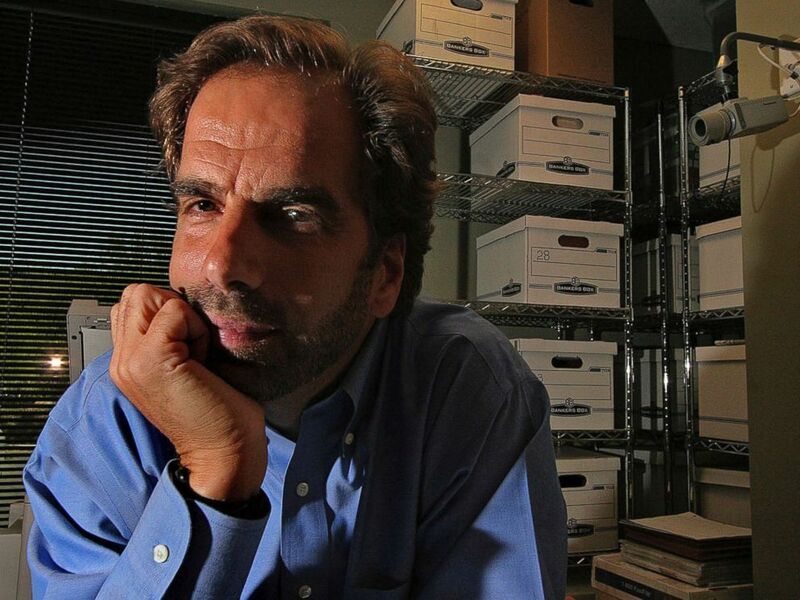 In this Friday, June 29, 2007, file photo, Dr. Steven Pitt poses in Scottsdale, Ariz.
Connie Jones said that for the last nine years her and her son’s lives had been a living hell. She filed for divorce in 2009 after she said he threatened to kill her in front of their son, who was then 12, and ended up being taken into custody following a standoff with police. “I thought that the courts when they heard that, they would help us, that they would stop him, but they did not,” she said. 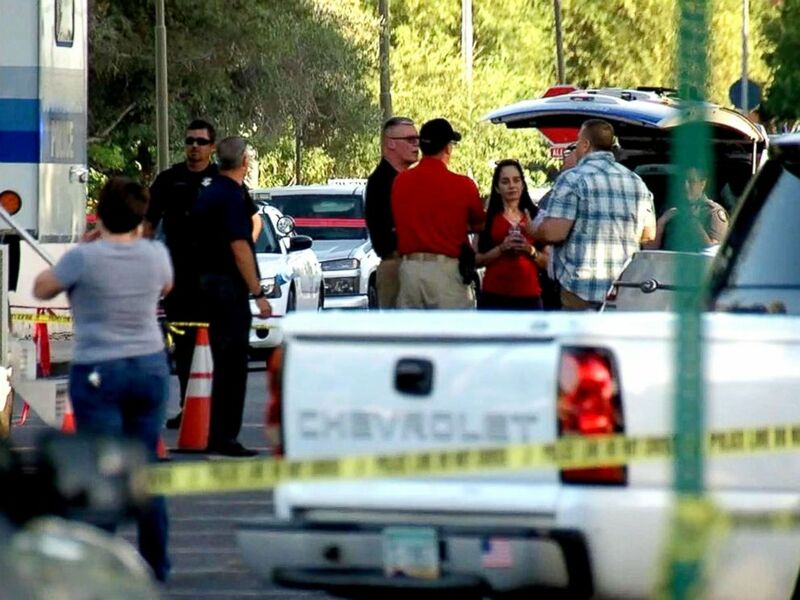 Law enforcement investigate a crime scene in Scottsdale, Ariz. He prolonged the divorce proceedings by hiring and firing attorneys, nine in all. She said she was also ordered to pay for the supervised visits despite Dwight Jones attempting to kidnap their son during one of them. She said that as part of the divorce settlement, completed in 2011, she was ordered to pay him $6,000 a month for five years. He was also granted about $300,000 from their checking account, retirement funds and their child’s college fund, which he claimed as community property. She said Dwight Jones, who had served in the Army for three years, never held a steady job and expected her to take care of him for life. She also said she paid some of his attorney’s fees. 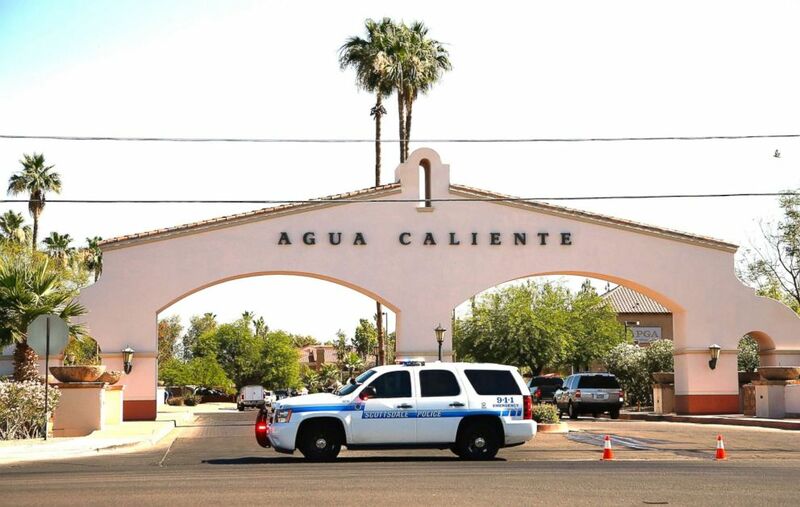 Local police block off and surround a local hotel where a suspect wanted in four killings was staying in Scottsdale, Ariz., June 4, 2018. During the divorce proceedings, she said she was so fearful for her life, her attorney assigned a private investigator, Rick Anglin, a former police officer, to provide her security. She eventually married Anglin. “Elaborate measures were taken for their protection,” Anglin said during Tuesday’s news conference. “We had three safe houses, countless rental cars. We had attack-trained dogs that we had to bring in that were 24-hour security. He said Connie Jones had to eliminate any pattern from her and her son’s lives, such as not going to the same grocery store or taking the same route to work. They even had to plan in advance to go to the movies. Anglin said Connie Jones was given extensive training in firearms and defense tactics, including defensive driving. 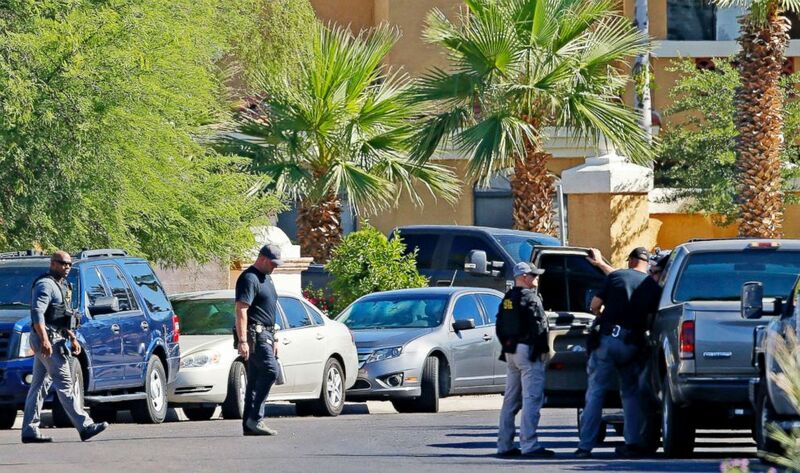 Police surround a hotel where a suspect wanted in multiple killings was staying in Scottsdale, Ariz.on June 4, 2018. Anglin said Connie Jones and her son were on a planned cruise when Dwight Jones started his killing rampage. He said they returned in the middle of the killing spree and that when he and his wife heard that the victims were Pitt and two women who worked at the Burt Feldman Grenier Law Firm, they quickly realized Dwight Jones was a likely suspect. Connie Jones and Anglin said they will now try to find a semblance of a normal life while mourning those who were killed.